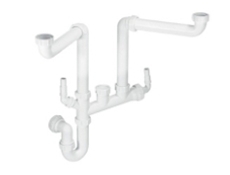 Allows full use of storage space below the sink bowl. Keeps the trap at the back of the unit freeing space & eliminating the danger of damaging the trap. Suitable for almost all British and European sinks. 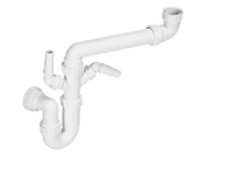 Supplied with a 1.5" x 75mm water seal tubular swivel 'P' trap. 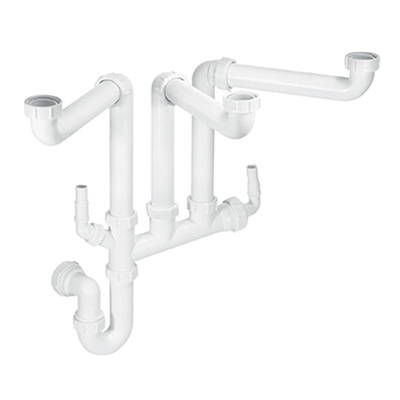 Universal compression outlet suits all plastic, copper and lead pipes. Can accept discharge hose(s) of domestic appliances.